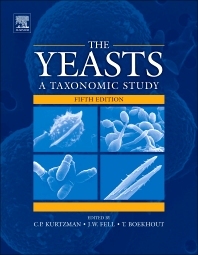 The Yeasts: A Taxonomic Study is a three-volume book that covers the taxonomic aspect of yeasts. The main goal of this book is to provide important information about the identification of yeasts. It also discusses the growth tests that can be used to identify different species of yeasts, and it examines how the more important species of yeasts provide information for the selection of species needed for biotechnology. • Volume 1 discusses the identification, classification and importance of yeasts in the field of biotechnology. • Volume 2 focuses on the identification and classification of ascomycetous yeasts. • Volume 3 deals with the identification and classification of basidiomycetous yeasts, along with the genus Prototheca.